Hen party box with a 'sweet' love heart pattern in a pink and white colour. 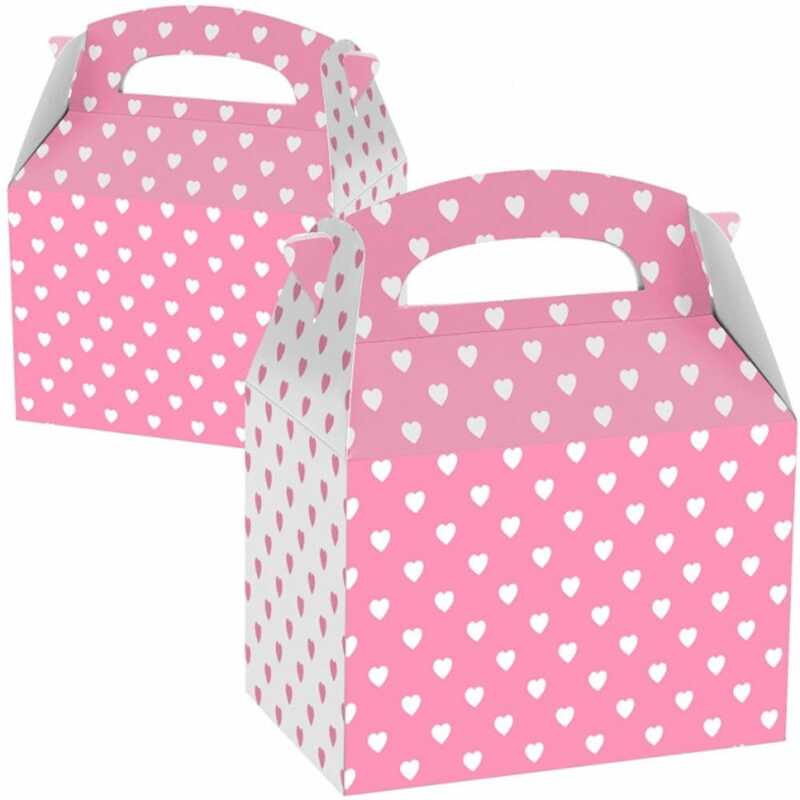 Fill this gorgeous party box with our great selection of party bag fillers and favours! Check out our party bag filler section! Showing our 3 x1 Hearts Hen Party Box, Hen Party Gift bag Box With Hearts reviews with an average rating of Very Good. Would you like to write a review? Pretty little heart boxes... Only problem was that handles were a bit flimsy, could not put anything too heavy in them. Lovely little boxes for hen party favours. Review Title - Great for what i was after. Review - Absolutely great for what I'm looking for. Little bit smaller than I thought they were going to be, but they are fine. Thank you. Absolutely great for what I'm looking for. Little bit smaller than I thought they were going to be, but they are fine. Thank you.